August 22, 2018, 2:00 p.m.
64% want delayed start times for high school students, but a third want them to start before 8 a.m.
For some students, like those who attend public schools in Atlanta, summer vacation has already come to an end. The average summer break for a school-aged child in the US ranges between 10 to 11 weeks but a new poll from YouGov Omnibus suggests that parents want even more time with their kids; a plurality of those with children under the age of 18 (45%) say that the ideal summer break should last three or more months. 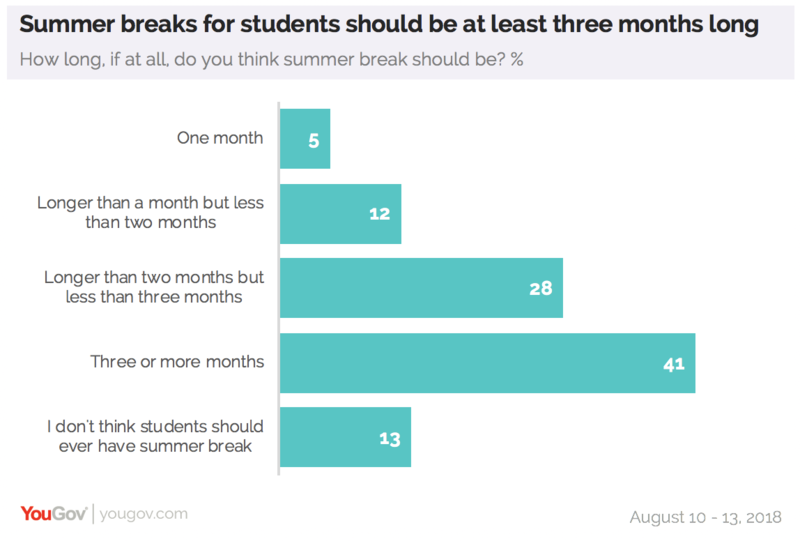 That is also the general sentiment among many Americans, with 41% saying they would like to see summer break last three or more months. Some are content with the current timeframe, with 28% citing that the ideal summer break should last more than two months but less than three. And 13% of Americans think that students should never have summer break. American students spend an average 6.8 hours in school during the school year, though this does not take into account any hours spent completing homework or attending extracurriculars like clubs or sports. Studies have found that adopting delayed start times (no earlier than 8:30 a.m.) allows students to get the recommended eight to ten hours of sleep, given their current school schedules. YouGov’s own data shows that American opinion echoes that recommendation for delayed start times. The poll also asks about the ideal start and end times for school children of different grade levels. Over half of Americans say between 8 a.m. and 8:59 a.m. is the optimal start time for children in pre-k to fifth grade (52%) and sixth grade to eighth grade (51%). A plurality (37%) also say that 8 a.m. to 8:59 a.m. is the ideal start for high school students but over a third (36%) would like to see these older students in school before 8 a.m. When it comes to ending the day, many (38%) say children in pre-k through fifth grade should leave by 2 p.m. to 2:59 p.m. The answer changes when the focus moves to older children; 45% say middle-schoolers and high schoolers should leave some time between 3 to 3:59 p.m. Some go further and say that students suffer from sleep deprivation. 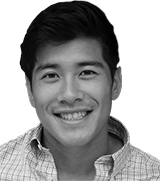 Six in ten Americans believe agree with the statement, “I don’t think students get enough sleep given their current school schedule.” Millennials (63%), women (65%), and parents (67%) are the most likely to agree with the statement. And 27% disagree that students are sleep-deprived.